Lloyd Dane, the youngest of the three Dane Brothers, went to a race in the late 1940�s and thought he could probably drive a race car as good as anyone else. One day he wandered into the shop of Fred Steinbroner in Inglewood, California and asked him how do you get going in this sport? With the advice from Steinbruner and , Lloyd Dane set out on a career that would see him not only be the first NASCAothersR Pacific Coast Late Model Champion in 1954, but to win the title again in 1956 and 1957. His first big win came at the Sacramento Mile in 1956, driving a Mercury. After that, he went on to win eleven more events in his career, including four that were Winston Cup events. In a career that spanned nearly 20 seasons, Lloyd finished no less than nine time in the top ten in West Coast points. He drove Hudson Hornets, Mercury�s, Fords, Chevrolets, Olds and a Plymouth. Our next inductee would win the vote as possibly the leader of the all-time bad boy parade on the west coast. Cain was one of the most colorful, fastest and best-liked men to ever climb into a stock car. Those who hated him on the track mostly liked him off the track. There was truly only one Scotty Cain. He started his career later than most and drove everything with four wheels. By 1955 Scott had decided stock cars were where he wanted to focus his career, and focus he did. Eleven times he finished in the top ten in points. He won eleven races, all in Fords, and capped his hard charging career with the 1967 and 1968 NASCAR Pacific Coast Championships. Fondly nicknamed "Big Daddy" by his many west coast friends this chief mechanic and car owner of fame originally got involved with sprint car and Indy car racing. About 1962 Jack McCoy enlisted the services of Ernie Conn and together they went on to establish records that may not ever be broken. Ernie much like other famed west coast builder and owner and his close friend for years Cos Cancilla, did it his way. His ability to analyze a racecar and what make it work bewildered inspectors and other competitors for years, and some never did figure out just what Ernie did and could create that made Jack McCoy win 54 races and always go fast with his dodges. Where any inspector would tell you that Ernie didn't necessarily break the rules they would acknowledge he had an uncanny way to interpret them to the benefit of his team and could convince the tech inspectors that what he was doing was OK. Much like Les Richter, Ernie could disagree without being disagreeable and when an argument was over you might have lost, but felt really good about it. His ability to maintain perfect chemistry and understanding with his driver Jack McCoy perhaps has never been equaled on the west coast. An inventor, designer and developer of many radical or so they seemed ideas at the time, Ernie worked closely with the Chrysler racing division to better the performance of dodges and Plymouths in stock car racing. Today Ernie enjoys his gun collection and outdoor sports and still takes in an occasional event. Born Dec. 14, 1927 this famed and fabled gentleman is now the only remaining link to the pioneer days of stock car racing in the United States. He drove his first race at Portland, Oregon on Sept. 16, 1945. He drove his last at Fontana, California on April 27, 2002. 57 years to be exact which in its own is a record. Hershel McGriff who always has been such an ambassador for stock car racing is possibly the most Charismatic driver that ever came down the pike. 12 times voted most popular by his fans and peers is a west coast record. Eleven wins in one season, the 1986 NASCAR Winston West Title, 15 times in the top ten in points, 14 wins in stock cars at Riverside, which will never be surpassed. It goes on and on. After winning the Mexican Road race in 1950 where Hershel started a life long relationship and friendship with NASCAR founder Bill France, Sr. Hershel was a big star up and down the pacific coast, but each year he would be summoned by Bill France to come down south and run Daytona on the sand, Darlington where he ran the very first southern 500, Detroit, Raleigh and other famous tracks of the time. Half way through the 1954 season big Bill France convinced Hershel that he needed to come east and stay which he did. Missing half of the races he still finished sixth in point and if one was to add up his average points for the races he ran as opposed to the final points the Champion Lee Petty compiled, Hershel would have won the Winston Cup title that year, along the way he won four events also. 1955 was the year of decision for Hersh as he had to either come back to Portland and raise his family and run his growing timber and mill business or stay in the south and drive the newly formed Mercury outboard Chrysler 300's for millionaire businessman Car Kiekhafer. He decided to come home and left the driving chores to Tim Flock who won the championship and 18 races that season. I guess we will never know just how many races he would have won, but for nearly 10 years Hershel took a sabbatical from racing. When he returned and in short time he was right back in the winners' circle again. Non who were at Riverside in January of 1967 will ever forget his starting 41st and by lap six moving to second and then going on in a photo finish and beating Ron Grable for the win. Perhaps the greatest honor came ten years ago when Hershel was presented the coveted NASCAR award of Excellence by Bill France, Fr. At the Waldorf Astoria Hotel in New York City. A man proud of his family, truly loved by his friends and thousands of fans and never to be forgotten in the great sport of stock car racing says it all. If one had to name the three or four most talented race car drivers of all time Parnelli Jones would show up on most people's list. There is good and then there is really all time great and he fits the later category in every way. Born in Arkansas on August 12, 1933 Rufus Parnell Jones came to Torrance California at a young age and started his career intentionally rolling and flipping cars in a field near his home. He was a Jalopy driver around southern California in the early 1950's, and in a short time was spotted by midget and sprint car owners of the day including J.C. Agajanian. He had talent and lots of it, sometimes his quick and competitive personality and style had to be tempered just a bit and Aggie was the guy to do that. In 1956 Parnelli started driving stock cars and liked them enough to really start focusing on that type of racing for several years. He won 15 NASCAR Pacific Coast Late Model events in two years, which ranks him 8th all time. He also won two Winston cup events including the 1967 Riverside 500. In USAC he won an additional dozen plus stock car races and the 1964 USAC Stock Car Title, he won the 1963 Indy 500, and many SCCA Trans Am Races, he once one the Riverside Grand Prix and helped Andy Granatelli make the world famous STP turbine car a legend in its own right. He loved to desert race and when he left the ovals and road courses won many major events in Baja and everywhere he ran. After he left the driving ranks at Indy he became an owner and his cars won the Indy 500 twice with Al Unser at the wheel. After all of that he was a very successful businessman and car dealer and raised with his wife Judy two fabulous sons. Marvin Porter, born in Redland, Cal in 1924, was one of those racers truly ahead of his time. His personality and charisma could and did carry him far. He grew up in an era were the well known hero's in the racing game, especially in southern California were Stubby Stubblefeild, Al "Flash" Gordon and Rex Mays in the '30s and early '40s after a four year stint in the air force during WWII, Marvin, if you knew him today was�let me put it this way, the stereotypical notion of him being the neighborhood milk man would be hard to believe. Yes, that's right, going door-to-door, peddling cheese, milk and eggs, and collecting for it. Somehow it seams to put all those racy milkman stories we heard as kids in a little different perspective.Marvin was 25 before he started racing jalopies around southern California. There were race tracks galore in that area back then, most of which had their own association; Lincoln Park in Los Angeles, Culver City, Carrell Speedway in Gardena, San Diego, Bakersfield (Oildale), and orange show stadium in San Bernardino to name a few. His close friend during the jalopy days was Rufus Jones, later to be known in the racing world as Parnelli Jones.Parnelli started driving stock cars in 56 and thought it was so much fun that during a game of cards at Marvin's place one evening, he suggested that Marvin get a stock car ride and go racing with him. Marvin opted to do just that and got a ride in a Plymouth, owned by Jack Chataney. His first race was at Portland in May of 57 in July of that same year Marvin got a ride in Vel's Ford as a teammate to Parnelli they ran the Darlington 500, the first of 5 year he would do so. In September he finished second on the Sacramento mile to Danny Grays and then a week later, at the Santa Clara fairgrounds in San Jose won his first Pacific Coast Late Model Championship race. He would win 10 more in years to come along with the 1959 NASCAR National Short Track Title. And the 1960 NASCAR Pacific Coast Title. For many years and active partner with Parnelli Jones Firestone Stores and Enterprises and still a very close friend to Parnelli, Marvin spends most of his time down south of the boarder. Our close friend Marvin Porter passed away in November 2002. Marvin was very proud and honored by his induction and we will all miss him very much. Rest in piece buddy. Born in Redlands, California in 1924, Marvin Porter served four years in the Air Force during World War II. He returned to California and took a job as the door-to-door milk delivery man. At age 25, Porter began racing in the Jalopy events on the local tracks of southern California at places like Lincoln Park in Los Angeles, Culver City, Carrell Speedway in Gardena, San Diego, Bakersfield, and The Orange Show Stadium in San Bernardino. Porter�s close friend Rufus �Parnelli� Jones suggested that he get himself a stock car and begin racing with the Pacific Coast Stock Cars and with NASCAR. Porter took Jones�s advice and drove Jack Chatenay�s No. 30 Plymouth in the NASCAR Grand National Division event at Portland Speedway starting 16th and finishing 9th. He drove Chatenay�s Plymouth in two more events before entering the Southern 500 at Darlington driving Oscar Maples� No. 12 Ford finishing 26th after the engine expired. Porter competed at the California State Fairgrounds driving the No. 12 Ford finishing second. At the Santa Clara Fairgrounds in San Jose, he qualified 12th and won on the �-mile dirt track. The event was scheduled for 200 laps, but after a horrendous crash on lap 116 left only five cars in the event and only the cars of Porter and Eddie Pagan on the lead lap, NASCAR declared the event concluded. In 1958, Porter competed in six NASCAR Grand National events. He recorded a 9th place finish on the 2.85-mile road course at Bridgehampton Raceway in Bridgehampton, New York driving Howard Phillippi�s No.17 Ford. Porter campaigned his own No. 12 Ford in seven NASCAR Grand National events in 1959. He recorded a 3rd place finish in the 500-lap event on the 4/10-mile dirt track at Ascot Stadium in Los Angeles and a 4th in the 200-lap event on the �-mile dirt track at Heidelberg Raceway in Pittsburgh, Pennsylvania. In 1960, Porter drove Mel Miletich�s No. 98 Ford in three NASCAR Grand National events and scored a win in the California 250 on the 1.4-mile asphalt Marchbanks Speedway in Hanford, California after leading 50 laps. He led the first 11 laps of the Copper Cup 100 at Phoenix, but an oil line failure put him out of the event. Porter made eight Grand National starts in 1961 with his best finish being a 13th in the Festival 250 at Atlanta International Raceway. In 1963, Porter drove Miletich�s No. 77 Ford in the 2 NASCAR Grand National events at Riverside, California. A rearend failure in the first event dropped him from competition and relegated him to a 38th place finish. In the second event, Porter finished 15th. In 1964, He drove Miletich�s No. 77W at Riverside finishing 7th in the Motor Trend 500. Porter�s final event in NASCAR Grand National Division competition came in the Motor Trend 500 at Riverside in 1967. He qualified 25th for the event, but broke a swaybar on the 15th lap and finished a disappointing 38th driving Carl Dane�s No. 1 Ford. In his eight-year NASCAR Grand National Division career, Porter recorded 34 starts, 2 wins, 6 top-5s, and 12 top-10s. Marvin Porter passed away in November 2002. "The Thin Man"Charlie Curryer was truly a pioneer when it came to west coast racing. His colorful career started in the very early '30s in southern California and soon moved to northern California where he formed the American Racing Association (ARA). Before WWII he promoted races at Hughes Stadium in Sacramento and is credited with promoting the very first midget race ever on the west coast in 1933. In 1933 when the AAA pulled their sanction from the famous Oakland Speedway one-mile track, Curryer took over and at one time promoted the only 500-mile big car race in the nation other than Indy. It was an annual event and drew stars from far and wide that were on the brink of moving on to Indy. Towards the late '30s he was the only promoter of stock car races in Northern California and can be considered the pioneer of that form of racing in the Northern part of California. Following WWII he and Bill Lynn built the famed Oakland Speedway, which was a 65 degree banked 5/8-mile high-speed facility. The famed Oakland mile went away during WWII and the new 5/8 was constructed on the same site but positioned a bit different. Curryer presented all late model stock car races in northern California during this period along with many other types of racing. Curryer was the promoter and organizer of the Bay Meadows Stock Car Races until Bob Barkhimer took over and he was the promoter of the first every Riverside 500 on Memorial Day Weekend 1958 for NASCAR Grand National Stock Cars which Eddie Gray won. That weekend he presented in fact three 500-mile events at Riverside and unfortunately they were not a success. Several years before he had promoted the NASCAR race at the old Las Vegas Turf Club one-mile dirt track that was won by Norm Nelson and that event also proved to not be rewarding financially. The Riverside Triple 500 was intended to serve as a financial recovery for Charlie Curryer and it was just a little before its time. Unfortunately that pretty well ended the nearly 30-year career of this great man and he faded away after that and passed away in 1960 at the age of 63. As the most recognizable face at Petaluma Speedway Johnny Soares seems to be everywhere at once. At the pit board he�s explaining the night�s format to track officials, at the concession stand he stops to adjust a malfunctioning soda dispenser, then he�s on the radio to see if the racetrack is ready for qualifying. The pace never slackens as Soares, the promoter at the Speedway since 1976, continually governs every aspect of operation throughout the show. Many of the 800-1000 fans and supporters who attend the weekly sprint car and stock car races recognize the soon-to-be 84-year-old man wearing a bright red Petaluma Speedway jacket. They know he runs the show, and some are aware that he is a former racer, but few are cognizant of the caliber he performed at or his achievements on the track. On July 29, Soares was among 20 former drivers inducted into the West Coast Stock Car Hall of Fame honoring those who have made significant contributions to the success and colorful history of stock car racing in the West. The ceremony, attended by more than 200 people, including NASCAR chairman Bill France, was held in Monrovia, near Irwindale Speedway. 1949 and 1950 and also drove late model stocks from 1947 until 1955 when he retired as a driver. He was virtually unbeatable in trophy dashes and at one point won 22 of 37 dashes he competed in. wheeling a Dodge from 17th starting in the 33-car field. It was for these career accomplishments and many others that Soares was earlier inducted into the BCRA Hall of Fame as a driver, and the Motor Sports Press Association Hall of Fame as a driver and promoter. Soares switched gears when he retired from racing and entered the promotion business. 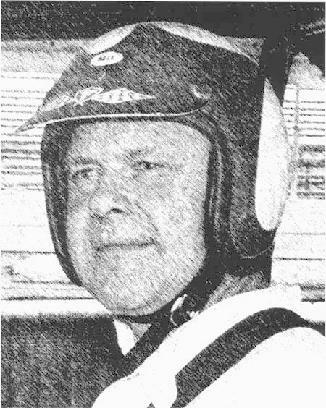 He became involved with Petaluma Speedway in 1961 and took over as sole owner in 1976, converting the former quarter-mile adobe track to its current three-eighths-mile configuration. Another of the San Fernando Valley clan and one of Frank Galpin Ford�s top guns, Ron Hornaday, Sr. first ran the old Pacific Coast Late Model Circuit in 1956. The competition and equipment were good, but it was not an easy task for a newcomer to master. Within just a few seasons, however, Ron was winning races and challenging for championships. With a second place in the 1962 title chase behind Eddie Gray, Ron had finally given notice that he was a force to be reckoned with. In 1963 and again in �64, Ron won back to back titles. Along the way he garnered 13 victories, tying him for 12th all time with Danny Letner, Jim Robinson and Butch Gilliland. Ron won a great number of late model sportsman races over a 20-year span in and around Southern California. Son Ron Jr. has kept the family name before the public in recent years, and it does not look like it will be fading away anytime soon. The next gentleman to be inducted is the pride of Victoria, British Columbia. For the first few years Roy Smith�s racing career was in Super Modified and Sprint Cars in Canada and the Pacific Northwest. A quiet gentleman off the track Roy Smith was a hard charger on the track. Roy first piloted the Bob Beadle Aircraft Standard cars out of Seattle and won the Winston West Series championship in 1980, 1982, and 1982 then came back again and did it again in 1988. Along the way he also finished third in points in 1987 and 1989. Fifteen victories, tying him for 8th all time with Parnelli Jones. Late in Roy�s great career he ventured off to the high banks of Daytona and driving for Richard Childress, captured a top ten in the Daytona 500. A true Champion we welcome Roy Smith to the stage. Marvin hailed from Oakland, California and was a car owner in the late �40�s. As a young man he was encouraged by the late Margo Burke to take over the driving chores of his Mercury late model and see how he faired. He was good from day one, with plenty of natural talent, and started winning races all over the west coast in the early �50�s. He won five races when NASCAR came west, however, he had notched many before that and was a big crowd favorite everywhere he went. In 1954 Big Bill France asked him to come east and he helped him arrange a ride. Marv was fast, smooth and won early on. He drove for the Wood Brothers, the Petty�s and Holman & Moody, with 17 Winston Cup Wins including the 1962 Daytona 500, driving for Smokey Yunick in the Jim Stephens Pontiac. On of NASCAR�s 50 greatest drivers and already a Hall of Famer, we are pleased to have veteran Chrysler Corp. test driver and long time friend Danny Eames with us tonight to accept Marvin�s award. Unfortunately Marv could not be in two places at one time and as badly as he wanted to be here tonight he was commissioned by Pontiac to restore his Daytona winning car for the Brickyard 400 next weekend. some years after that and channeled his energy and time to family and developing one of the country�s largest roofing companies. A few years later he became fascinated with the lure of the desert and for many years was a mainstay in that form of racing. It is a great pleasure to welcome Danny Letner to the stage. Bill Schmitt�s accomplishments in racing and in life have been very special. A fine family man and businessman. Bill started racing on west coast tracks, running late model stock cars races around 1974 under the Winston West Series banner with little or no fan fare, even though he had made a big name for himself already in Redding California. In 1977 he won his first Winston West title, and repeated it again in 1979. Then he went 10 years of winning races and poles, before he won back to back Winston West titles in 1989 and 1990, Four titles, 19 race wins ranking him seventh all-time on the west coast, eighteen years in the top 10 in points, and the most starts in Winston West history. Bill Schmitt is a clear choice for the Hall of Fame. When you look at the list of drivers our next inductee had in his cars from 1950 until 1970, as an owner and chief mechanic you have to say the man was a cut above the average. Jim Dane, one of the three famed Dane Brothers, was a top Hudson Hornet man from 1951 thru 1954, with Lou Figaro, Tim Flock and little brother Lloyd Dane as his drivers. With Figaro he won and established himself as a force to always reckon with. His wins, according to the record book, totaled nearly a dozen from 1951 to 1958. When Hudson no longer built a car that was suited for racing Jim switched to Fords and Dodges, and kept right on winning with Clyde Palmer, Bill West, Troy Ruttman, Roger Ward and Danny Letner. Truly an early pioneer of west coast stock car racing.